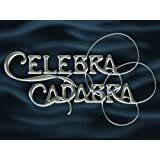 Celebracadabra premiered on VH1 on April 27, 2008. Seven television and film stars vie for the title of "Best Celebrity Magician" when they gather at the Magic Castle in Los Angeles, the world's most famous club for magicians, and attempt to learn and perform tricks normally left to the professionals. Guided by veteran magicians, the competitors face tough crowds and a master panel of judges who determine which celebrities get to advance to the next round and a shot at a grand prize.